Nate came to me looking for an anniversary ketubah to celebrate his marriage to Tiffiny. As befitting an anniversary design, the artwork needed to reflect and touch on many memories, big and mundane, that they created together in their whirlwind romance. With the help of their backstory to help me understand what stands out to him over the course of their relationship, as well as a booklet of detailed instructions with reference photos, I whipped up this papercut into shape and created a cohesive and harmonious design. 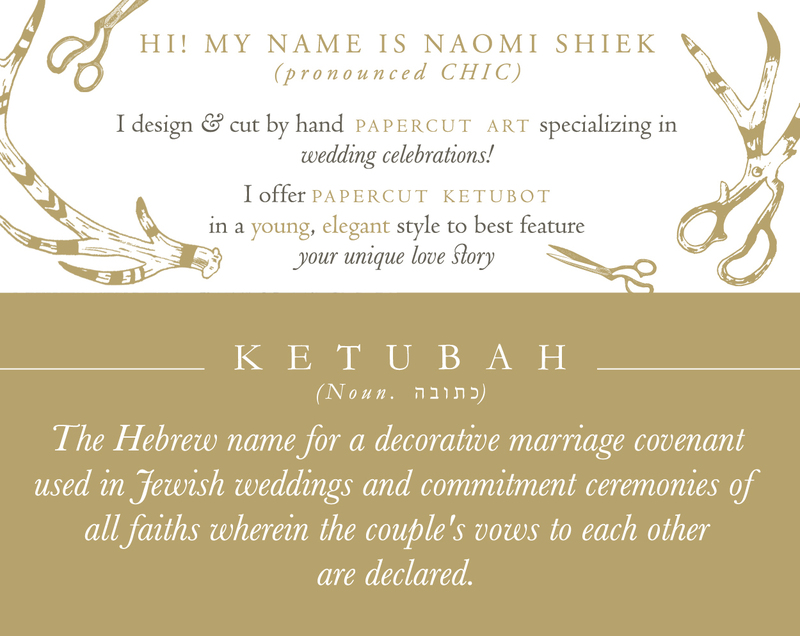 We ended up with an Anniversary Ketubah that is truly a collection of vignettes that together symbolize their story. 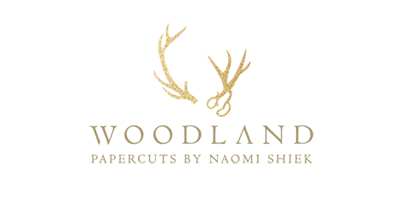 From their love of travel to the bannister design from their wedding venue, the papercut covers many memories. My favorite is the glimpse of the actual crossword puzzle Nate gave Tiffiny to finish before they even started dating (they still have it stuck to their fridge door, you guys!). 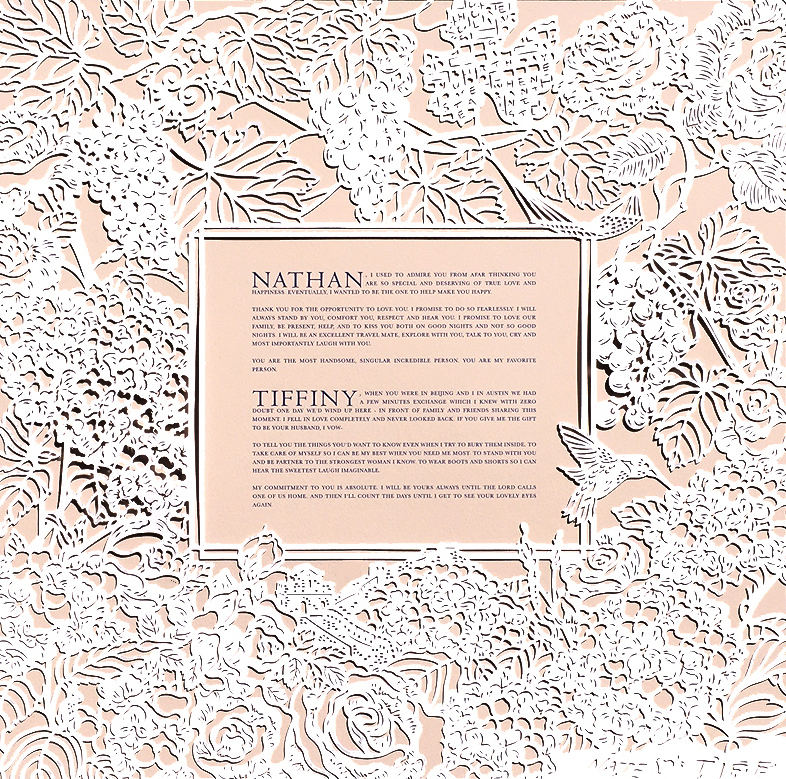 18X18 inches big, with colors to match their wedding stationery, the papercut surrounds Nate & Tiffiny's marriage vows to each other. They opened it together on their wedding anniversary!